I’m taking a bit of a step back from teaching in order to focus more on writing and my own artwork. Feel free to contact me to see if I might be available for your venue. 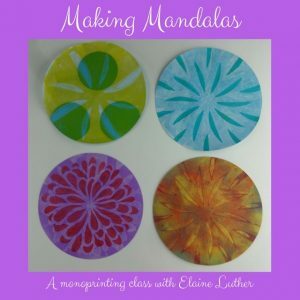 Use Gelli Plates to create layered prints of mandalas and embellish with gel pens or colored pencils if desired. A relaxing and creative activity! Want to get back into making art? Or make art for the first time? 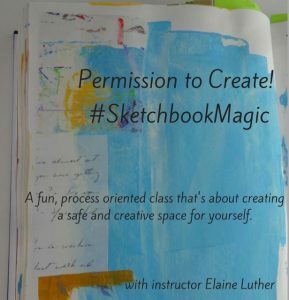 This adult class is about creating a safe space for creating in the classroom, on the page and in your life. 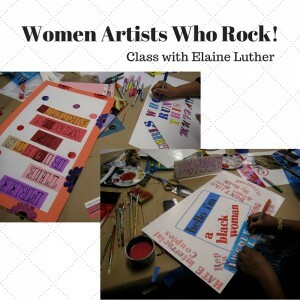 Use art materials in a free, expressive way in a class that’s about process and having fun. We’ll work exclusively inside sketchbooks as you learn ways to get color and marks on the page in as little as ten minutes (or less!) at a time. We’ll also use journalling prompts and write for just minutes per class! Write more at home if you choose. 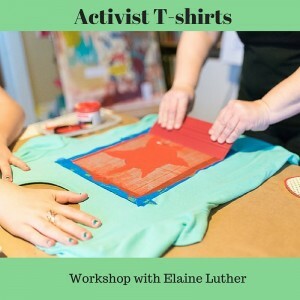 In this workshop, participants identify an issue they’d like to get the word out about, make a stencil and use silkscreen ink to create a shirt. We look at protest art and creating symbols to represent ideas. Best for teens and adults. Image is of a student at work on her poster. 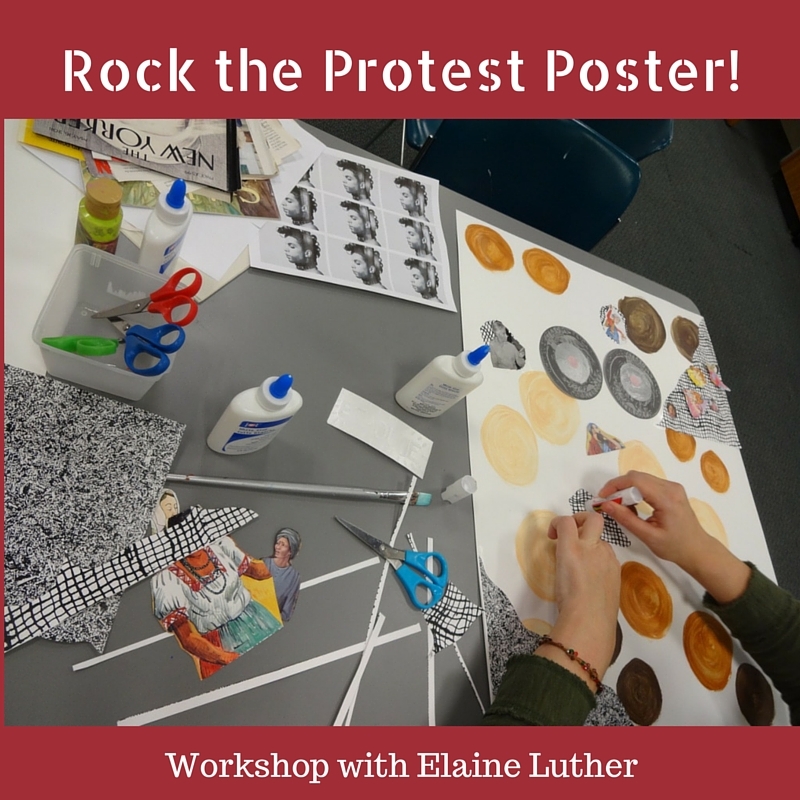 Simple materials express big ideas in this workshop where we use a simple printmaking method and collage to create protest posters on whatever topic the participants care about. Each participant makes their own poster. We begin by looking at some sample protest art. Best for teens and adults. One of the things about street art is that it can provide people with unexpected beauty. Isn’t that cool? 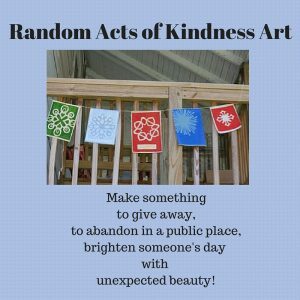 Wouldn’t you love to make someone’s day with a piece of art that you place out in the world for them to find? There are a number of non-permanent, non-damaging methods that we can use to do this. One project is making encouraging messages with wings. You can make these and leave them in the house for someone to discover, or activate a space in the library with your encouraging messages, or place them out of doors. Chalk, stickers or postcards left for others to find, and wheat paste give us more options for temporary installations. New class! Taught for the first time in summer 2016. 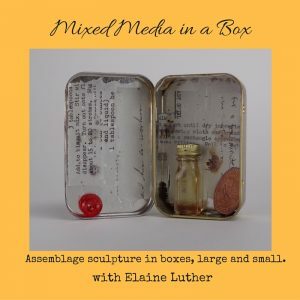 Think of assemblage as the art of collage, only 3D. We’ll start with mint tins, as an approachable place to start, then move up to a larger box or base. Need a theme? Draw one from the magical fish bowl of themes! 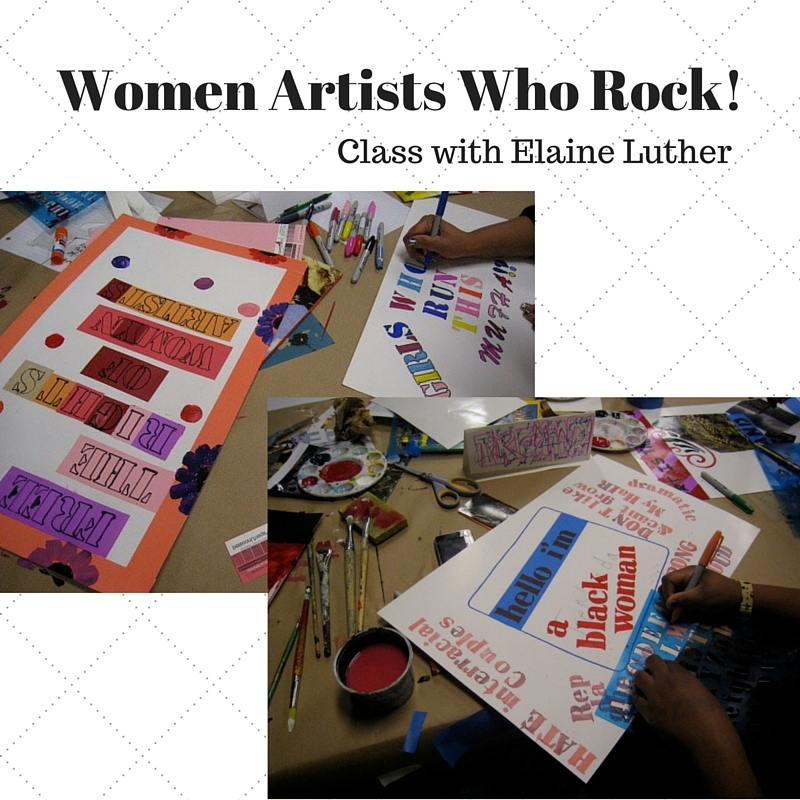 Learn about composition, methods of attachment and more! Do you love the look of rust? The green color of an old copper dome on a church? 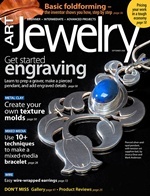 You can create those colors, or patinas, yourself on copper and steel. 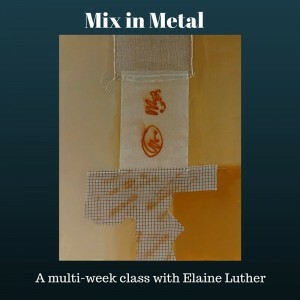 In this course you will use your own photographs, drawings and create shapes with steel and copper, add patinas on metal and incorporate these elements into a collage painting on a wood board. Create a smaller painting and a larger one. In this course you will create your own visual vocabulary by creating components for collage instead of using found images. Combine your own photographs, marbled paper, drawings and acrylic “skins” to create mixed media collage paintings, as well as smaller works on paper. Experience chance and surprise as you create acrylic mixed media collage paintings on canvas. Use the Oblique Strategies cards created by Brian Eno to guide you in each step as you learn techniques of collage and acrylic painting blending. 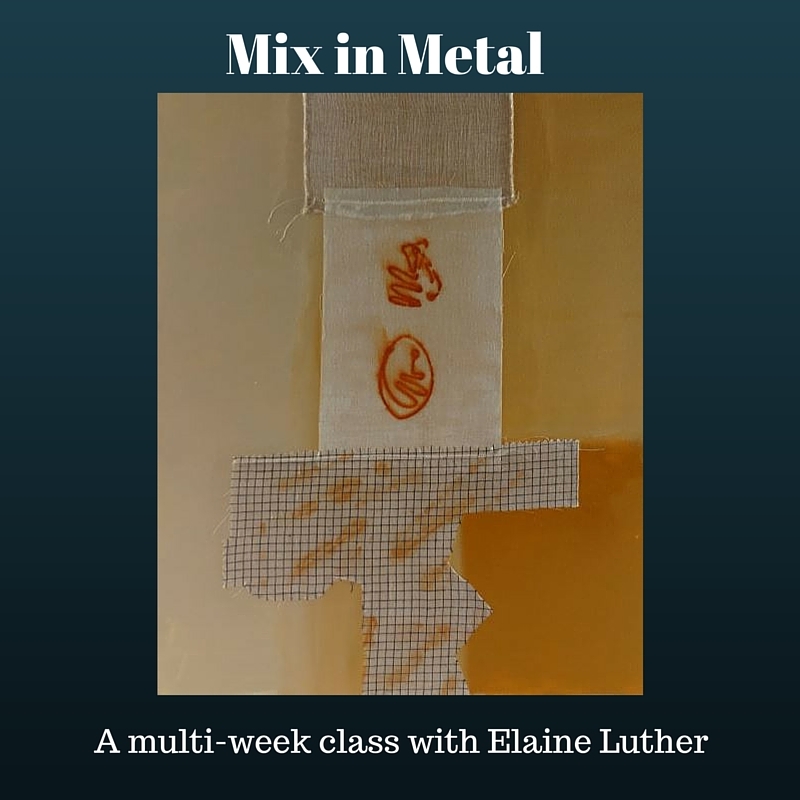 Choose your own found objects/images and use fabric as part of your collages as you create a collage. Have something to say? Have an issue you want to draw attention to? In this class we’ll make posters and stickers about issues we care about. 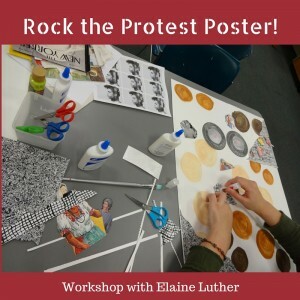 Learn the principles of effective poster design through hands on practice. Digitize your poster(s) and share them online. 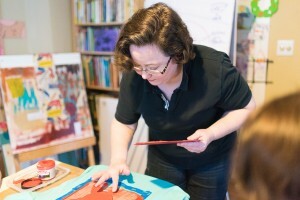 Learn to do simple block printing to create stickers to hand out. Look at art historical and current examples of protest art, propaganda and top notch gig posters. After volunteering as a Curiosity Hacked leader for three years, I now have a number of STEM workshops for kids that I can lead, most are in the design/build challenge category. 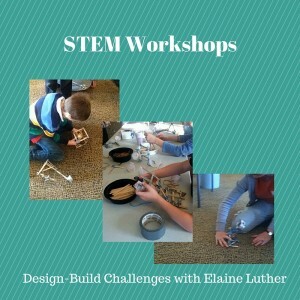 Build a catapult of your own design, drop an egg from a 6 foot ladder, make a duct tape rocket to shoot off with a compressed air rocket launcher, marble run challenge, and more. The emphasis is on the process. Students learn about the design-build-test-back to design process. Materials are inexpensive. Ages 8-12. 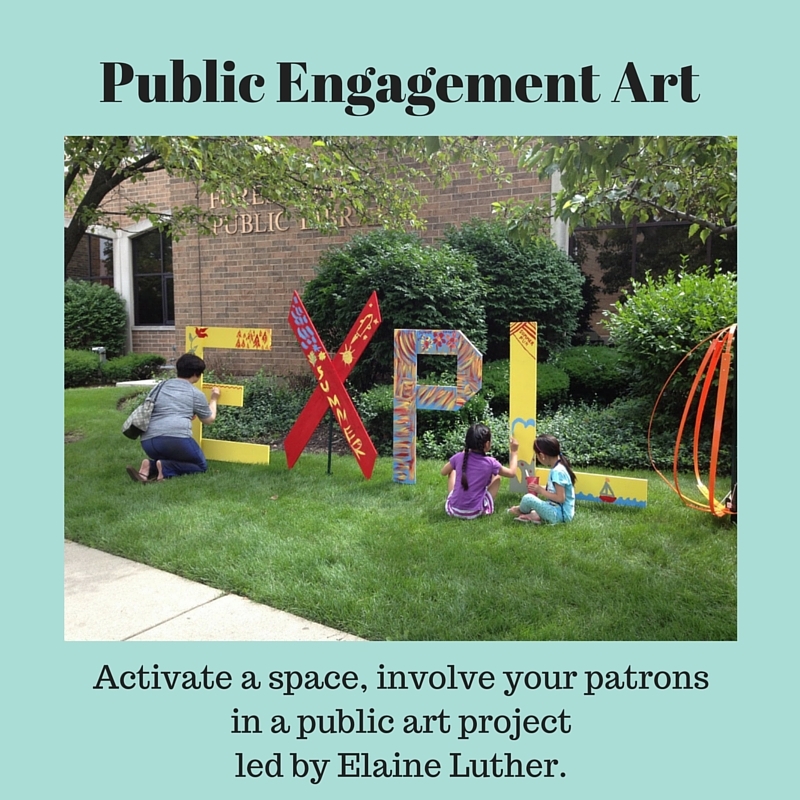 I can work with your organization to create a public engagement project that’s right for you. My goal is always to create an environment where even those who feel that are not creative feel safe joining in the creativity. What’s My Connection with Libraries? I have long been what library staffers call a “heavy user” of the library. 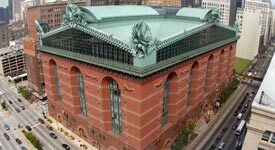 As an artist, my connection to libraries began in 2012, with my solo show of my Medals That You Wouldn’t Want to Earn at the Harold Washington Library. This year, 2014, I had a solo show of my sculptures, Our Ladies of Perpetual Housework, at the West Englewood Branch of the Chicago Public Library. 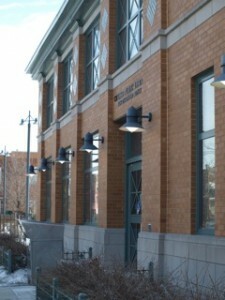 The terrific folks at the Library as Incubator Project blog wrote about me once again! You can read that here: http://www.libraryasincubatorproject.org/?p=13805 In that piece, I talk about why I like to exhibit in libraries. In July 2014, the Our Ladies of Perpetual Housework were on display at the Dole Branch Library of the Oak Park Public Library. 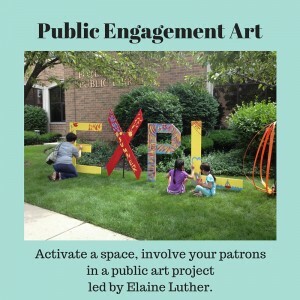 Ready to schedule a workshop, exhibit, residency or public engagement art project? Or maybe a combination? I also do public speaking and would be glad to arrange a single workshop or a whole package for your library. Need a thematic curriculum for your staff to use as they execute programming? I can do that too. You can read my teaching philosophy and see the extensive list of art centers, libraries and more where I’ve taught, HERE. Start the conversation, message me HERE. Thanks!